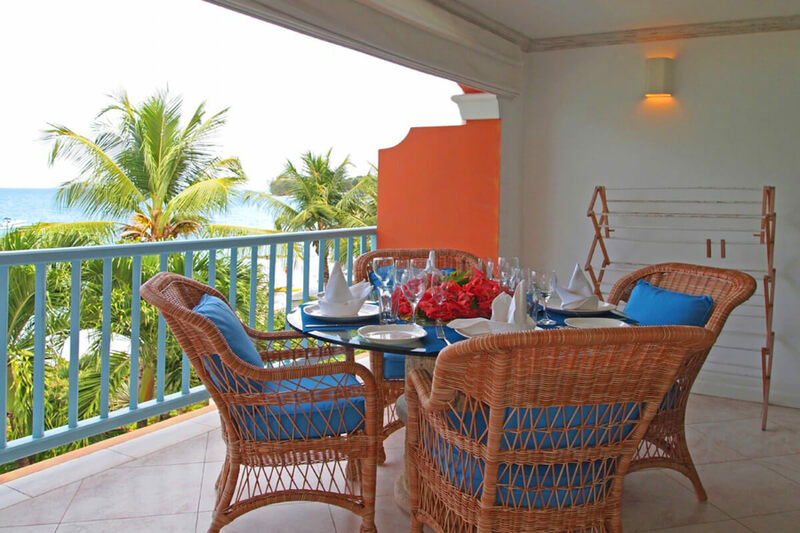 Villas on the Beach #303 is a cozy and stylish apartment perfectly designed for two. The complex itself features a winding communal pool, private gym facility, and sits directly beachfront on one of Barbados’s famed West Coast beaches. Located in Holetown, Villas on the Beach is in the middle of all the action this Barbados town has to offer. Best of all, with a large grocery store, restaurants, bars, shops, nightlife, and more all within walking distance, there’s no need to even rent a car! Couples, honeymooners or single vacationers will feel right at home in this one-bedroom, one-bath accommodation. Nestled between incredible shopping at Lime Grove shopping center and Sandy Lane Hotel, Villas On The Beach is in a great beachfront location. Walk to an impressive variety of restaurants, bars, designer shops, fast food restaurants and souvenir stores. Or, opt to grab some groceries nearby and make use of your full kitchen. Rooms offer free WiFi, Cable TV, DVD player, in room safes and air conditioning, as well as maid service five half-days per week. The king bedroom with en-suite bath opens to the balcony and provides beautiful views even while relaxing in bed. Villas On The Beach also boasts two pools – one lagoon style that stretches along the beachfront. Transfers not included in the price of the rental. Maid service 5 half days per week.